Many of you will remember how it felt to count up all those bronze one and two cent coins and head off to buy mixed lollies at the corner store. It’s hard to believe that those little coins disappeared from circulation almost 25 years ago now. And no doubt you will recall how strange our plastic money seemed initially – slippery, washing machine proof and all. It’s been two decades since those polymer notes were first introduced and once again, it’s time for a change. The next generation of notes will be introduced this year with the first, the $5 note, being issued from September. So how will these new notes differ? The good news is that we won’t feel like Aussie tourists in the US digging through our wallets trying to determine the right banknote to hand over because they’re all the same colour. Our new notes will feature the same faces as the current notes and remain true to their existing size and colour palette. The new designs however, will have additional security features as well as a tactile element to assist the vision-impaired community. And of course those all-important money machines are also being adapted to meet the currency change. Cashpoint prides itself on being one of the most innovative, flexible and respected ATM companies in the industry and are currently in the process of upgrading all of their machines to accommodate the new banknotes. 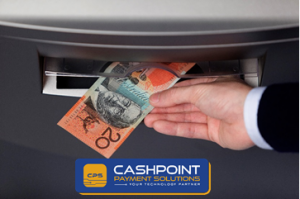 As an Australian built and owned company, Cashpoint have the ability to adapt quickly to change and can modify software accordingly. They design and manufacture 70% of their product suite and in-house developers are able to provide seamless and efficient software upgrades to meet changes in the market. 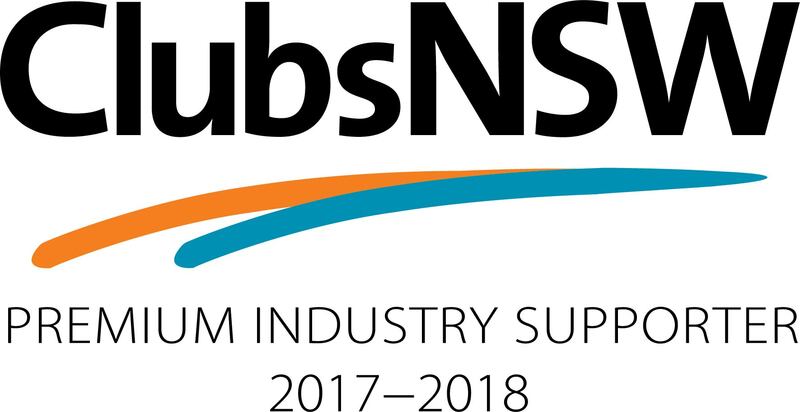 Cashpoint strive to deliver outstanding, personalised service and their industry customers from hotels, clubs, taverns and retailers across Australia readily sing their praises. The Cashpoint Management Team have over 75 years of combined ATM experience and the team recognize that delivering an efficient and secure cash dispensing service is of vital importance to their clientele. Having said that though, the company also appreciate that just like those little bronze coins and paper notes, times change and with that, so do our habits. These days, we love convenience and so for many of us, using an ATM machine has been replaced by the simple swipe of our card. Cashpoint provides services that go well beyond withdrawing cash from that big grey box in the corner. Cashpoint consider themselves a ‘technology partner’ to their valued clientele and offer solutions to make for more productive and streamlines services relating to cash. In cash intensive environments such as gaming, hospitality and retail, there’s a growing need for integrated cash management solutions. Cashpoint offers a comprehensive range of services to meet the needs of their client base such as ATM, POS, Cash Redemption Terminals, EFT Solution, Secure Cash Manager, Note Breakers. Membership Rewards and Discounted Transactions to include the printing of coupons and vouchers as well as offering Wi Fi Hotspots. Another great solution Cashpoint provides to overcome the challenges and expenses associated with traditional cash management is the Cashpoint Cash Manager. This system replaces the time-consuming, manual counting of money, eliminates shrinkage and reduces the risk of theft – thereby resulting in improved efficiency, accountability, security and staff productivity. The suite of products offered by Cashpoint are all powered by Switchlink. Switchlink provides an intelligent, remote monitoring software solution which enables one to keep track of the business’s daily activities 24 hours a day via a portal easily accessed via a PC, laptop, tablet or Smartphone. As we look forward to our brand spanking new currency from September this year, we can be assured that Cashpoint are also looking to the future and are keeping an eye on emerging technologies on behalf of their trusted clientele. As a proudly Australian owned and based company providing reliable and innovative products to the gaming and retail market, I’d gladly put bet my NEW $5 note on them…..